After a fun morning in Sherman Oaks, it was back to the west side for McDonald's and a nap before a late night screening of Fantastic Four. Reviews have been horrible with the film garnering a sub-10% rating on kinda BS aggregator Rotten Tomatoes but audiences also gave it a C- Cinemascore so they can't all be wrong? Or could they. The drama behind the scenes has been more compelling than the actual film it seems as young writer-director Josh Trank biting the hands that feeds him with a Tweet declaring he had a better version of the film than what was being released. Throw in some awkward PR interviews and what was once an estimated $40 million dollar opening was falling into the mid-$20's. By Sunday, the reported $120 million dollar reboot had grossed $26 million bucks, losing out to the already released Mission Impossible: Rogue Nation and scoring the lowest Marvel based opening in years. Fans cried victory, rejoicing in the failure as proof that studios shouldn't meddle with the source material. So was Fantastic Four as bad as people were making it out to be? Was it truly some unwatchable train wreck? Honestly, no, it was not. It's not great but it's totally watchable and has some pretty interesting things going on along with a terrific score and some nice production design. The story starts in 2007 where we meet young inventor Reed Richards who has built a teleportation device out of junk. He befriends classmate Ben Grimm at the local salvage yard and the two grow up to be best pals (Miles Teller & Jaimie Bell) who develop a gate that transports physical matter across space. To where, we don't know. In steps Dr. Franklin Storm (Reg E. Cathey) who along with adopted daughter Sue (Kate Mara) are working on their own teleportation device and think Reed has cracked the riddle. 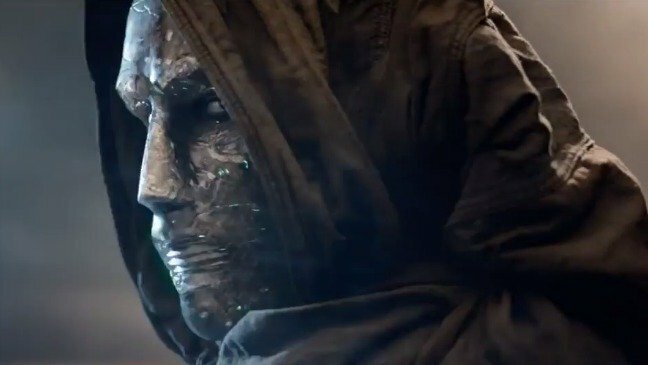 Recruiting the brilliant but non-team player Victor Von Doom (Toby Kebbell) and estranged son who can build stuff Johnny (Michael B. Jordan), a trans-dimensional portal is created. But when government stiff Dr. Allen (Tim Blake Nelson) wants to get NASA and the Army involved, Reed, Ben, Johnny and Victor decide to visit the other dimension and plant their flag before someone else gets the glory. The other dimension holds cosmic power, things go bad, they're all bathed in the other wordly goo but manage to get back to Earth where Sue gets some residual cosmic crap on her. Ben turns into rock monster The Thing, Reed gains the ability to stretch himself to impossible lengths, Sue can manipulate the light spectrum and Johnny becomes a living ball of fire while Doom spends more time in the dimension and becomes a super powered being who can blow stuff up and move things telepathically. For the first chunk of the film, I was into it, it moves pretty quick and you can forgive some of the under written and/or cheesier aspects like Teller and Bell aging 20 years in an alleged 7, Dr. Doom's nickname and montages of computer staring, etc. The low-fi approach mixed with some big sets and pretty decent CGI in the other dimension worked well enough. Marco Beltrami's score keeps things moving and I appreciated that the story wasn't a total retread of the 2005 version like The Amazing Spider-Man was of the original Sam Raimi trilogy. In a twist, the four aren't all hunky dorey in a dysfunctional family way, they're just young people with different motivations and end goals thrown together. While it's not action packed, I was never pining for a big explosion either. There's some real randomness in the film like Teller's pubic hair looking "beard" for a scene and Dr. Doom's kinda lame metal mummy look. By the end we get a pretty tame superhero showdown with the four needing to band together and take out Doom. It's all very shallow and quick moving with some visual flourishes and a few intriguing moments like when Doom walks the lab halls destroying innocents with his new found power. 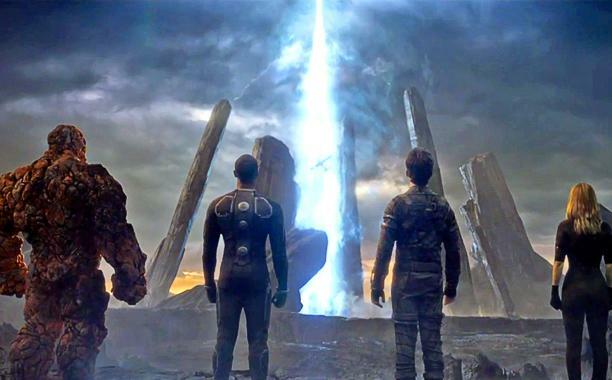 Like John Carter, Battleship or Tomorrowland where bad press and reported behind the scenes turmoil had people judging the films on what they heard versus what they saw; Fantastic Four is the latest cinematic punching bag that's getting more crap than it truly deserves. It's not a genre changing masterpiece but I'm not sure who thought it was supposed to be. It was easier to sit through than Terminator: Genysis and loads better than Fox's big budget, high profile X-Men Origins: Wolverine debacle. 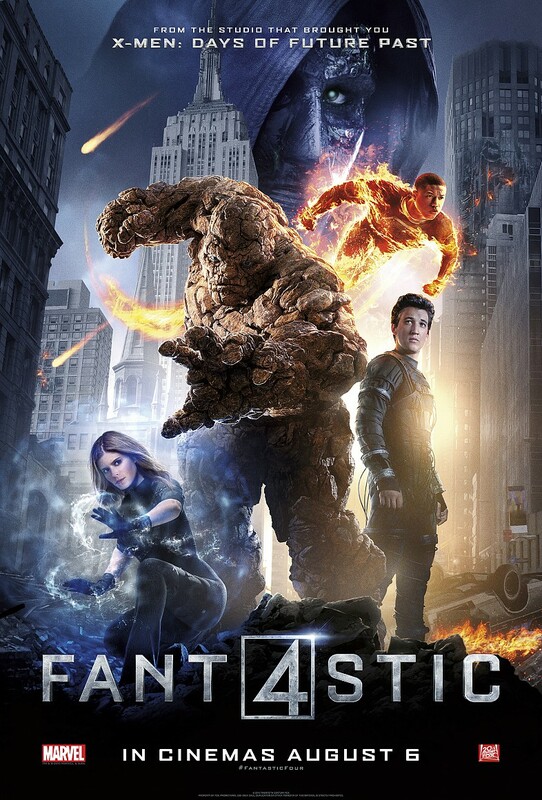 I say if the trailers intrigued you at all, give Fantastic Four a shot and form your own opinion.